View more photos of the countless wedding memories created by visiting our wedding specific website…. We can’t think of a more beautiful sight than to see a perfect union, in a perfect setting. What an honor for us for you to allow our Panama City Beach vacation rentals to be a part of your wedding plans! Book a perfect spot to get married in Panama City Beach, host your wedding receptions, and for your guests to stay! Welcome wedding planners! Many couples have exchanged their nuptials on the sands behind vacation home, Corona Del Mar and Miss Ashlee’s Oleander Retreat, and retreated to our 20 X 50 foot open deck for their reception. 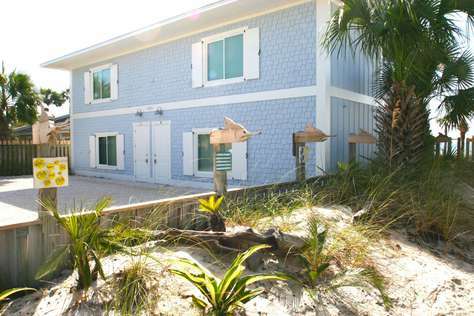 Parking is available in the front of this vacation home for five cars and additional parking across the street is also available for the Panama City Beach, beach access #79 portal. Both Corona Del Mar, and both sides of Miss Ashlee’s Oleander Retreat- Oleander Retreat #A, and Oleander Retreat #B, feature 20 by 50 foot open decks, perfectly-suited for hosting the ultimate gulf-front wedding reception! Getting married should be the most joyous occasion in your life! You have tons to worry about with caterers, flowers, wedding attires, etc… Planning weddings can be tough! 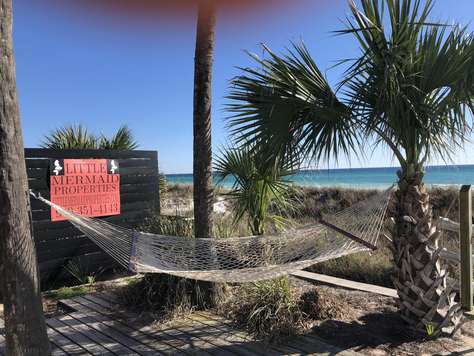 Allow Genese Hatcher, the owner of these beautiful vacation properties to help you take some of the stress out of planning a wedding in Panama City Beach. She will be able to refer you to various wedding planners in the area that can help facilitate your memorable day. When you need a great place for your family to stay while in town for your beach wedding, we hope you’ll consider Panama City Beach Vacation Rentals, and Miss Ashlee’s Oleander Retreat, or Corona Del Mar to accommodate you! When it’s time to tie the knot in Panama City Beach, you could certainly do no better than choosing one of our vacation homes on the beach to be a part of the celebration in some form or fashion. This is such a good place to get married. Love it!